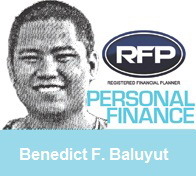 PINOYMONEYVANTAGE | Personal Finance in the Philippines: Farewell San Miguel Brewery! A few days ago, I was surfing the net and try to look on the small investments I made with this corporation I admire very much with their food products and beverages. I was shocked and awe to read the report on a leading newspaper on their plan to voluntarily delist by May 15, 2013 in the Philippine Stock Exchange. I never imagined that a company like this would get out of it while the stock market is still bullish and not yet correcting at this moment. I am one of the minority investors who are among those holding about 94.24 million shares or 0.61 percent of SMB’s outstanding shares. I am included in the tiny speck of this company I bought a few years ago a 1000 shares of this company I believe in. Decided to get on the San Miguel Brewery Website on how to tender my shares (buyback) with this company. The information is useful and just printed out the memorandum by the officials from San Miguel Brewery for announcement and information to be used by their individual investors like me. I started out in the Initial Public Offering of this company back in August 2008 with just PhP 8,000 for a minimum of 1000 shares. What had happened on San Miguel Brewery? Based on news reports, the company had fallen short of the 10% minimum public ownership (M.P.O.) rule. "The disclosure stated that S.M.B.’s controlling shareholders–San Miguel Corp. and Kirin Holdings of Japan–as well as the directors of S.M.B. would not sell any of their shares during the tender offer. SMC owns 51 percent of SMB while Kirin controls 48.39 percent" - Philippine Daily Inquirer (Feb. 22, 2013). Somethings happening on December 2012? San Miguel Brewery failed to comply with securities regulators' policies because neither SMC nor Kirin was willing to reduce their stake in the beer maker. The minority shareholders like me are affected with this and so trading suspension from January 1 to June 30, 2013 (6 months suspension). SMB delisted to voluntary delist itself from PSE. "San Miguel Brewery told: Comply with public float rule or get delisted" - An article on Rappler.com (December 17, 2012). - This seems to be a fair warning after all! I was saddened with mere fact that this was my first investment in the stock market and had a heart broken thought of not investing anymore. I learned that the PhP 34.00 per share I was counting on to unload this summer went down to PhP 20.00 per share according the news report. I became a bit frustrated on unloading my 1000 shares on this company that went to small value unexpectedly but deemed fair price by MayBank ATR-Kim Eng Capital Partner on listing the shares at PhP 20.00 in their opinion. It is now returning into to private hands through buyback offer. After almost 4.5 years of being a part with San Miguel Brewery I am still hopeful that opportunities will still come along. It was a great run after all. Doubling my money in 3 years against putting it in a bank which earns 1.0 to 2.0% per annum. I guess, charging it to experience for now. Looking positive and hopeful another promising Initial Public Offering (IPO) will come again. For those interested in stock trading and investing: Remember there are always has risks involved. As an investor, you should have the guts to be ready to face anything and be calm, stay afloat and have long patience. Whoa, tough luck. But, at least you did double your money. To tell you, it was a good four and half year run for me. I have seen the ups and downs of this company SMC but it's time to move on and find other opportunities in the market.